#BBNaija 2018 week 1 Update;Alliances formed as housemates pair up! 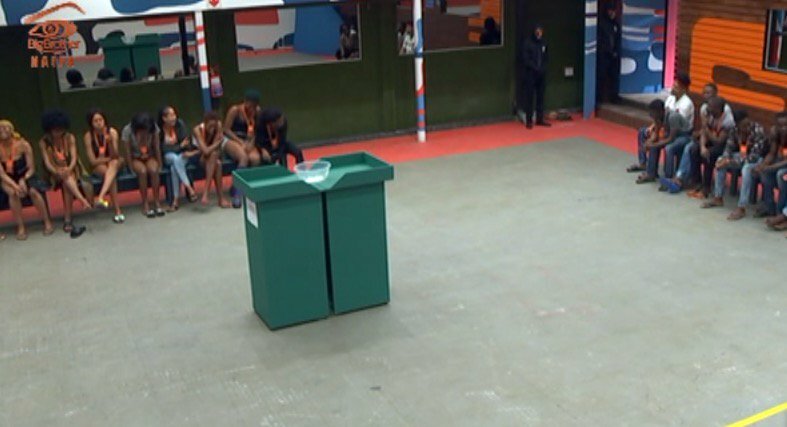 Its been an eventful afternoon in the big brother Nigeria house as housemates completed a painting task where they had to give information to the painter in a relay format. Later on Biggie called the housemates into the arena where the girls were blindfolded and asked to pick numbers.The men were then handed roses. In a bachelor meets big brother style,the men were to hand roses to girls who showed interest in them. Ahneeka was first and was rejected by Dee-one. Cee-c went in next and picked her buddie Tobi,they went on and on till Ahneeka had a chance to pick again,with Rico Swavey being the only guy left Ahneeka had to pair up with him..
See the full list of pairings below..
With the alliances formed each couple get rewards together,get nominated together and get evicted together! Its a real double wahala season!